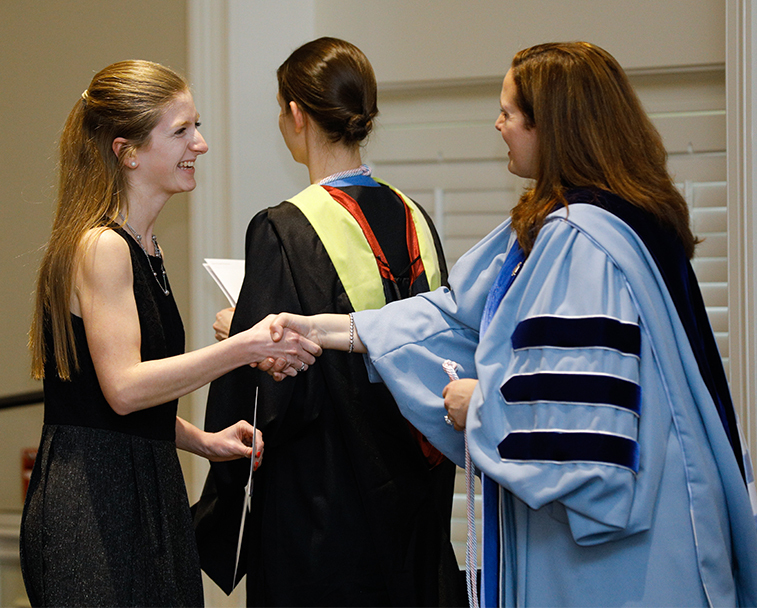 Phi Beta Kappa celebrates and advocates excellence in the liberal arts and sciences. Seventy-four Furman University students have been elected to the school’s chapter of Phi Beta Kappa, the nation’s oldest and most prestigious academic society. The newest members were inducted during a special initiation ceremony on campus March 27. Furman Modern Languages and Literatures Professor David Bost, who delivered the keynote address, was also named an honorary member of Phi Beta Kappa. The president of Furman’s Phi Beta Kappa chapter is Dr. Liz Bouzarth, associate professor of mathematics. The PBK secretary is Patricia Sasser, director of the Maxwell Music Library at Furman. Founded in 1776 during the American Revolution, Phi Beta Kappa celebrates and advocates excellence in the liberal arts and sciences. 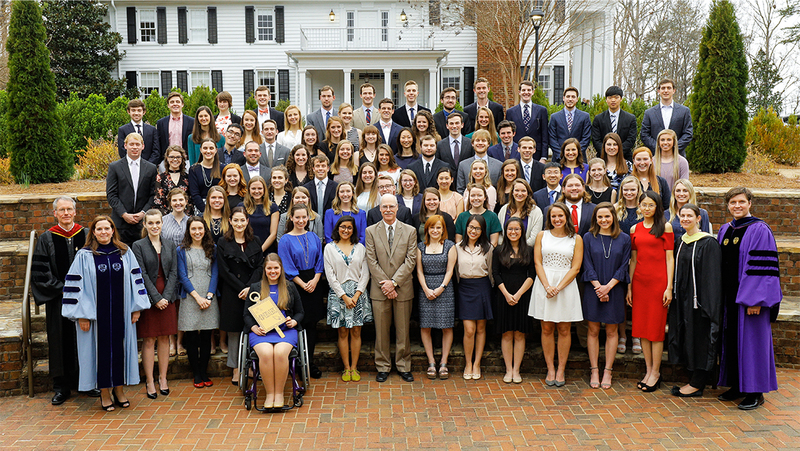 Its campus chapters induct the most outstanding students at America’s leading colleges and universities, and only about 10 percent of the nation’s institutions of higher education have Phi Beta Kappa chapters. The newest members of Furman’s chapter of Phi Beta Kappa include, from left, Kunhuan Liu, a chemistry and information technology major from Shenzhen City, China, and Seung Hyun (Peter) Nam, a Japanese studies major from Fort Worth, Texas. Stephanie Ortega, an education major from Yuma, Arizona, is congratulated by math professor and Phi Beta Kappa president Liz Bouzarth. Last updated April 9, 2018 .